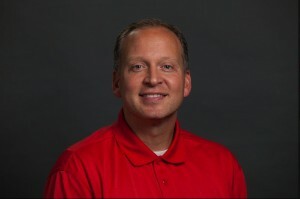 Chad Briscoe, newly-returned athletic director at Grace College, is the subject of a feature story at StaceyPageOnline, an online news site that serves Warsaw, Winona Lake, and Kosciusko County, Indiana. A portion of the story appears below. Click here to read the complete article. WINONA LAKE – Chad Briscoe’s eyes light up and a huge smile crosses his face when he talks about returning as the Director of Athletics at Grace College. There’s no hiding the fact that he’s pleased as punch to once again be the man in charge of the direction of the Lancer athletic programs. Briscoe, an energetic and passionate man with an impressive resume, served a very successful stint at Grace from 2007-11. He spent the last two years as the Athletic Director at Mooresville High School just outside of Indianapolis before returning to Grace in mid-summer.